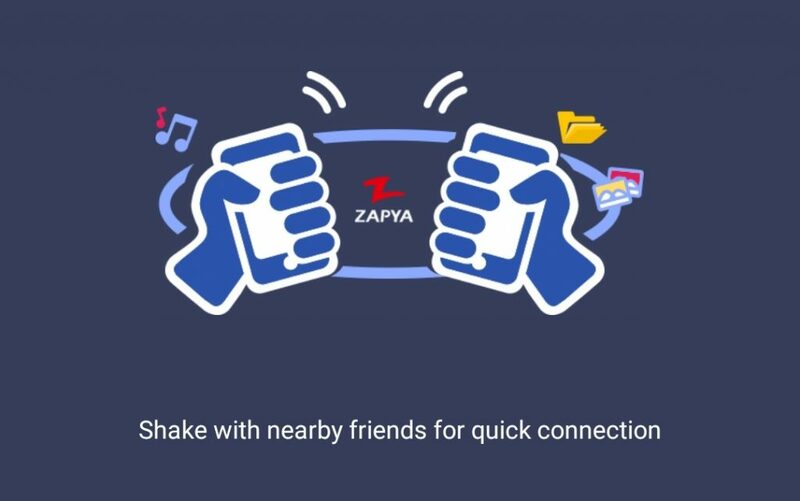 The new Shake to Connect feature on Zapya allows for you to quickly pair up your android devices without the need for a password or a QR code. When using the Shake to Connect feature, you just need to shake both devices at the same time in order to connect. This feature is only available on the latest version of Zapya so please upgrade to the new version. You can download the new version from the Google Play Store: https://play.google.com/store/apps/details?id=com.dewmobile.kuaiya.play . 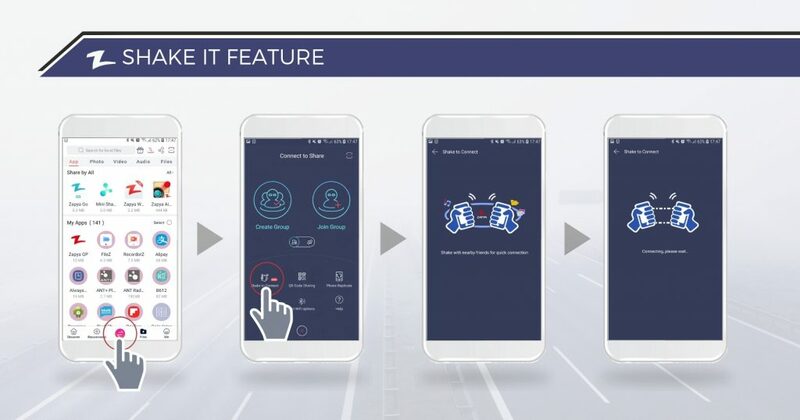 Using the Shake It feature is very easy, all you have to do is shake the devices in order to create a connection. You can either look at the image or the step-by-step guide below for more detailed instructions. Step One: Check that both devices have the latest version of Zapya. You can download the new version from the Google Play Store: https://play.google.com/store/apps/details?id=com.dewmobile.kuaiya.play . Step Two: Open up the Zapya application on both devices. Step Three: Tap the Share button at the bottom of your screen so that it opens the Connect to Share page. Step Four: Click on the Shake to Connect option. Step Five: Shake both devices at the same time.